The Cyclone Global Navigation Satellite System (CYGNSS) launched into orbit at 8:37 AM EST, December 15, 2016, aboard an Orbital ATK air-launched Pegasus XL launch vehicle. The rocket was dropped and launched from Orbital’s Stargazer L-1011 aircraft, which took off from Cape Canaveral Air Force Station in Florida, over the Atlantic Ocean, off the coast of central Florida. CYGNSS is NASA’s first satellite mission to measure ocean surface winds in the inner core of tropical cyclones, including regions beneath the eyewall and the intense inner rain-bands that could not previously be measured from space. These measurements will help scientists to obtain a better understanding of what causes variations in tropical cyclone intensity, thereby improving our ability to forecast tropical cyclones such as Hurricane Katrina. 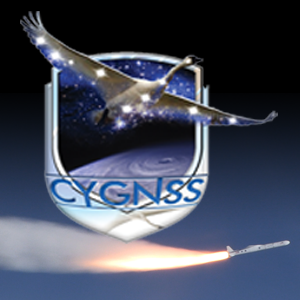 To learn more about CYGNSS, read "Eight Microsatellites, One Misson: CYGNSS" in the November-December issue of The Earth Observer. 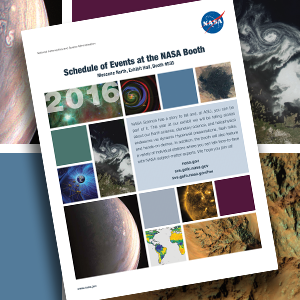 NASA Science has a story to tell and, at AGU, you can be part of it. This year at our exhibit we will be telling stories about our Earth science, planetary science, and heliophysics endeavors via dynamic Hyperwall presentations, flash talks, and hands-on demos. In addition, the booth will also feature a variety of individual stations where you can talk face-to-face with NASA subject-matter experts. We hope you join us! 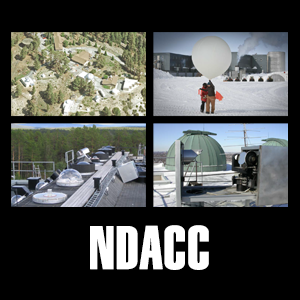 The Network for the Detection of Atmospheric Composition Change (NDACC) has been a significant contributor of in situ and ground-based observations of the upper troposphere and stratosphere for the past quarter-century. It is an international research and measurement program composed of more than 70 high-quality, remote-sensing research stations. The discovery of the Antarctic “ozone hole” in 1985 provided the impetus for the development of the observational network. 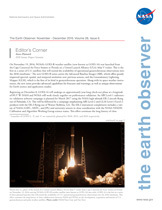 To learn more about NDACC’s history, its current configuration, some of the key results it has achieved, and plans for the future please see the feature article on page 4 of the September-October issue of The Earth Observer. NASA’s Earth Observing System (EOS) is a coordinated series of polar-orbiting and low inclination satellites for long-term global observations of the land surface, biosphere, solid Earth, atmosphere, and oceans. As a major component of the Earth Science Division of NASA’s Science Mission Directorate, EOS enables an improved understanding of the Earth as an integrated system. The EOS Project Science Office (EOSPSO) is committed to bringing program information and resources to the Earth science research community and the general public alike. 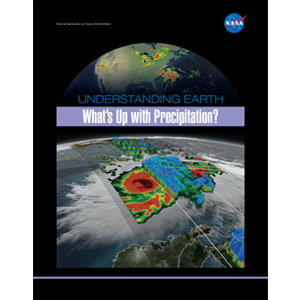 This website has been designed to cover not just the original Earth Observing System (EOS) missions, but also all of NASA’s Earth-observing satellite missions (many of them joint with other nations and/or agencies), along with other elements of NASA’s Earth Science program. 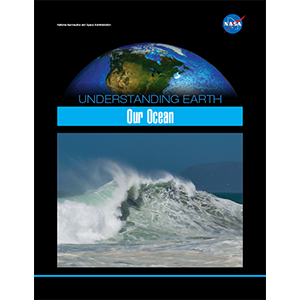 The EOSPSO is funded through the Earth Science Division of NASA’s Science Mission Directorate.